Jump on your bike and off you go! 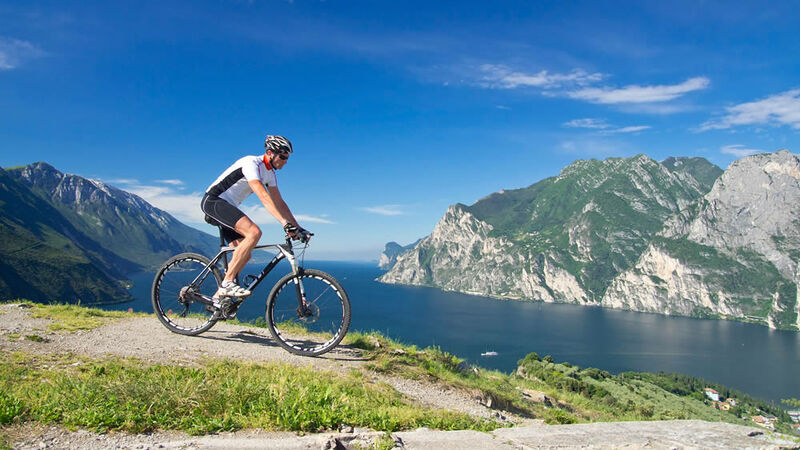 Lots of routes for your legs, all packed with thrills and adrenaline, from the quiet cycle path which runs by the front of our hotel and extends 7km north and 15km south through Malcesine. And then there are hundreds of kilometres to ride on and off road. More experienced riders can take the cablecar and in just 25 minutes reach an altitude of 1760 m. to enjoy the finest bike routes in some of the most beautiful natural surroundings. You can rent our city bikes, or bring your own from home, here it is in good hands! We have bike storage under CCTV and a little area for bike cleaning and servicing.